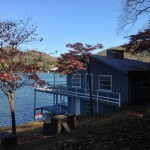 PRICE REDUCED! 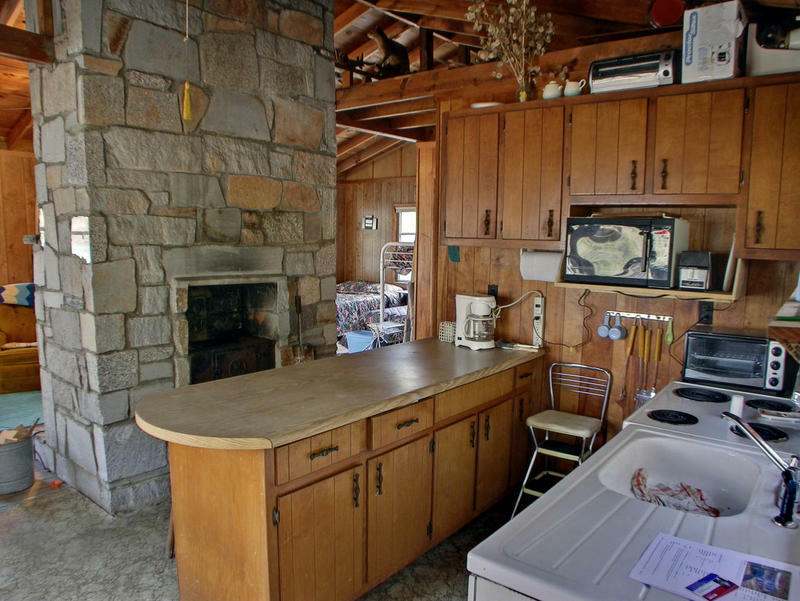 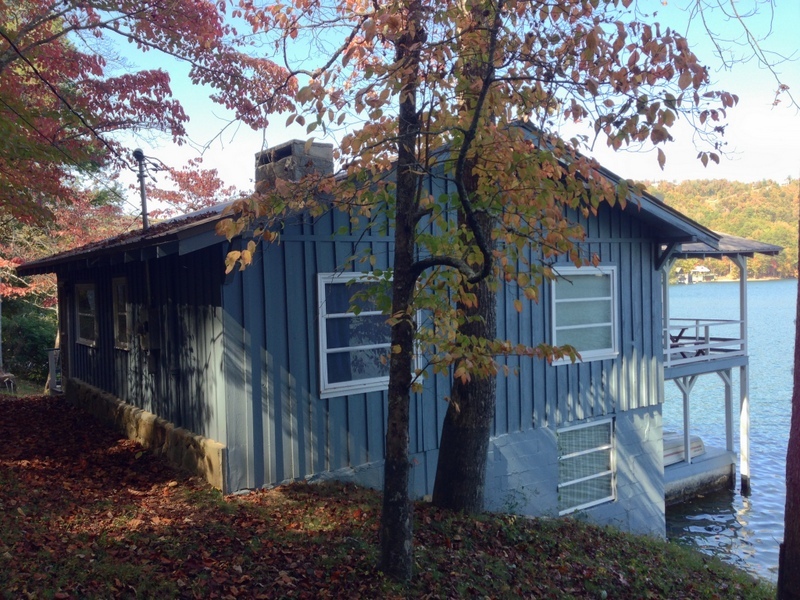 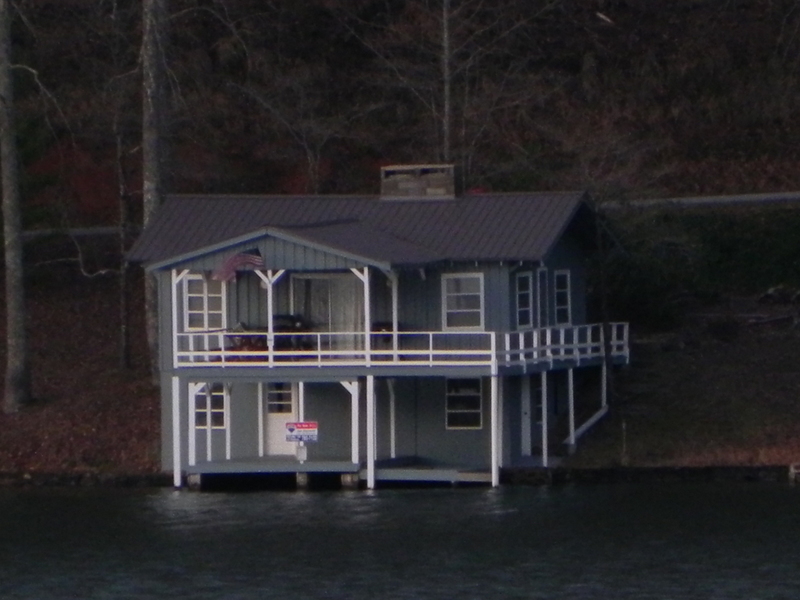 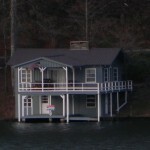 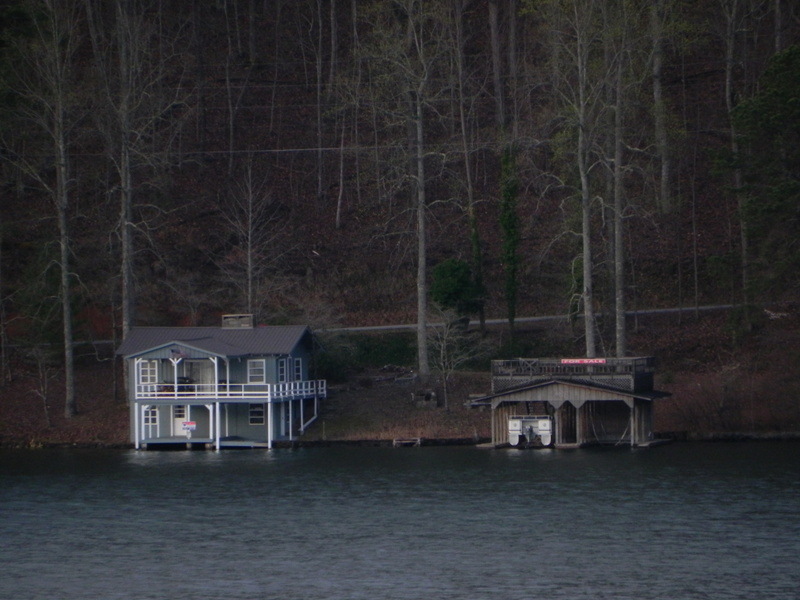 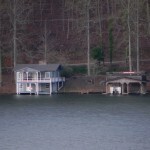 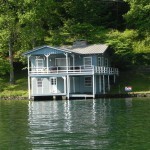 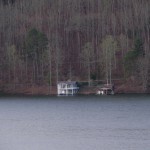 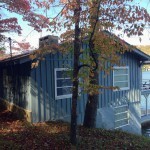 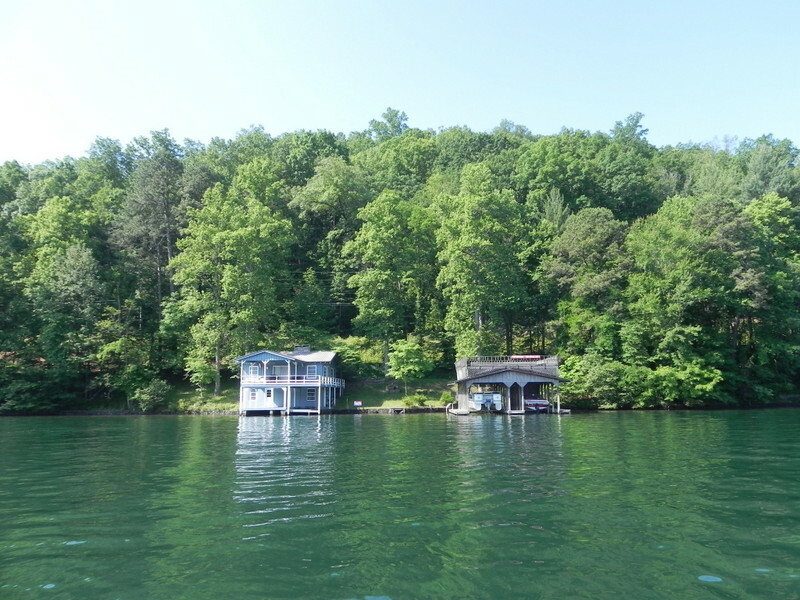 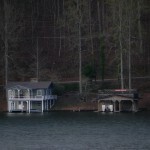 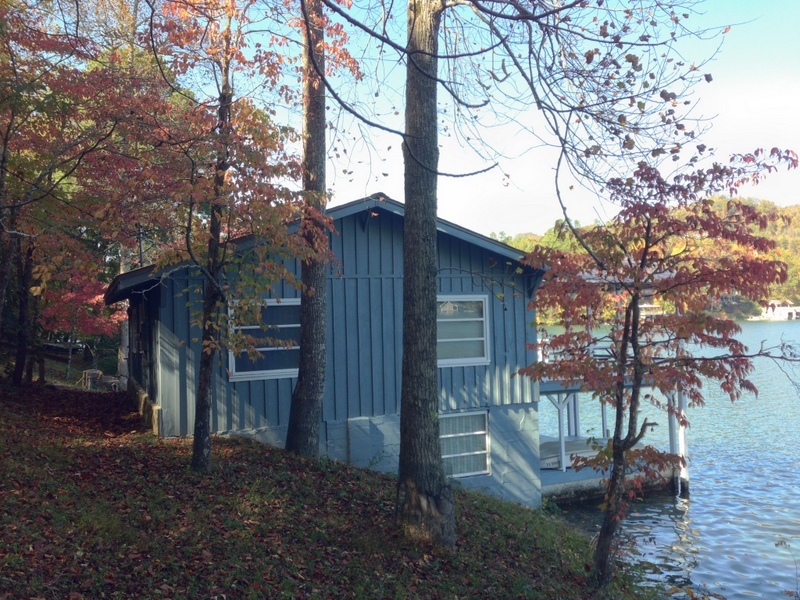 Vintage Lake Burton vacation home built right out over the water. 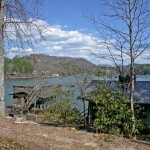 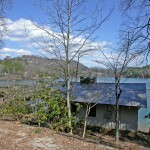 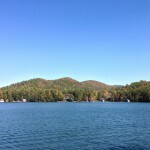 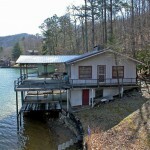 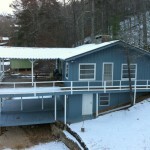 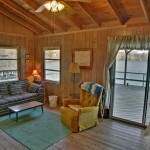 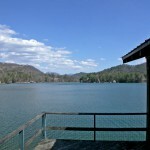 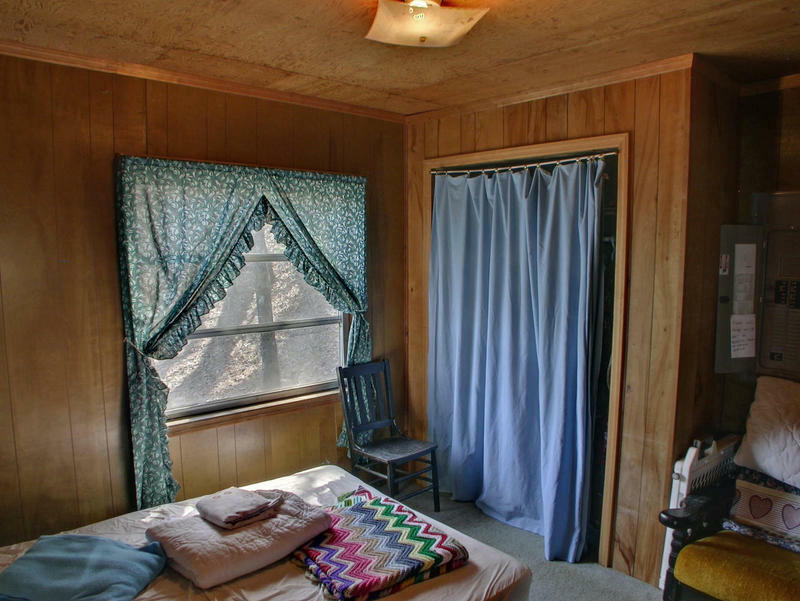 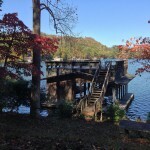 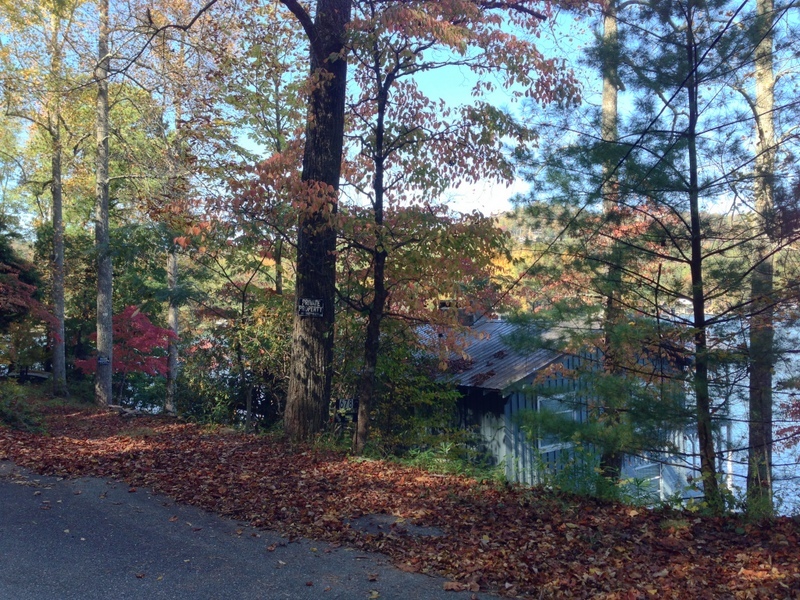 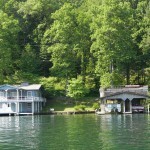 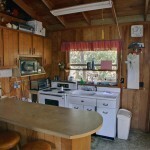 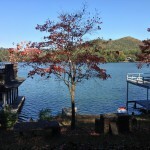 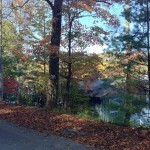 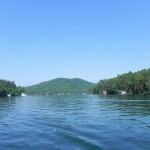 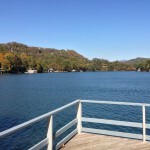 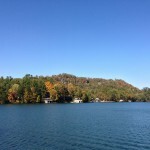 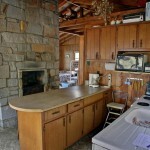 Great location on the Clayton side of the lake with paved access for a quick trip to town. 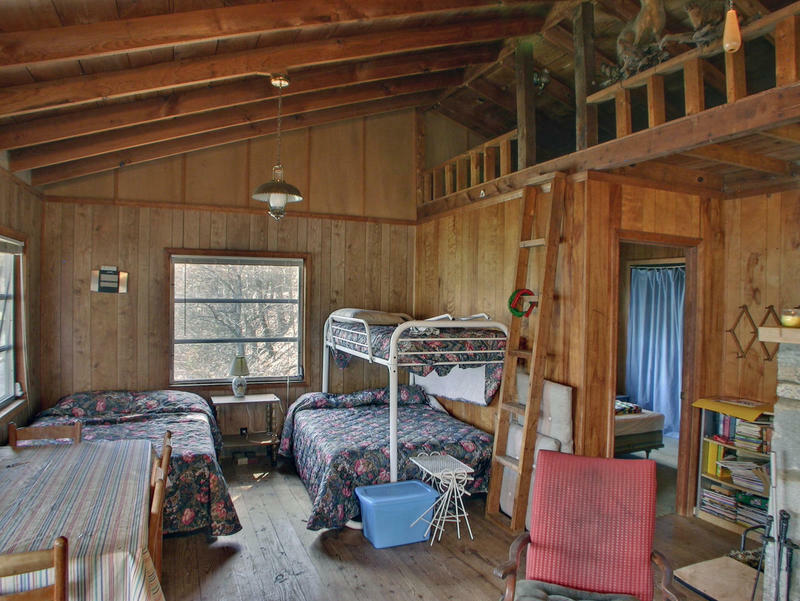 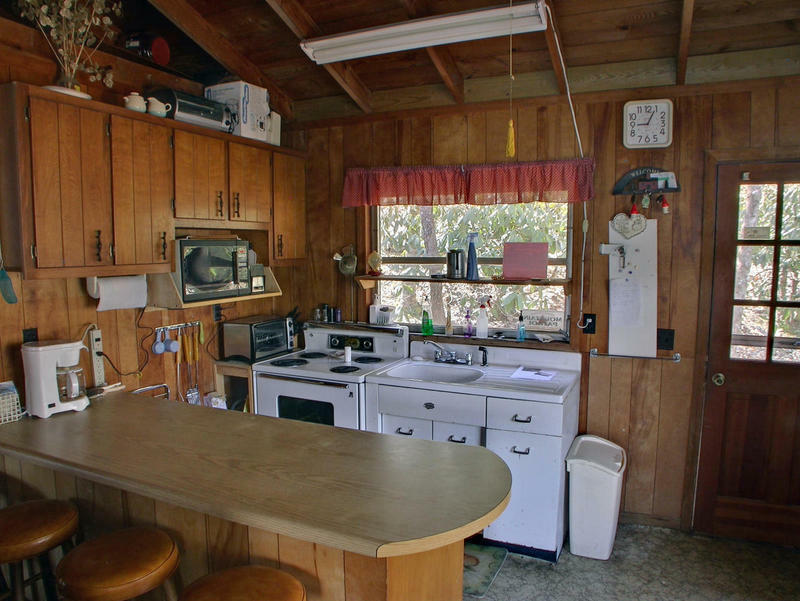 One bedroom with small loft area, stone fireplace in the living room, and small open country kitchen… all under a new metal roof. 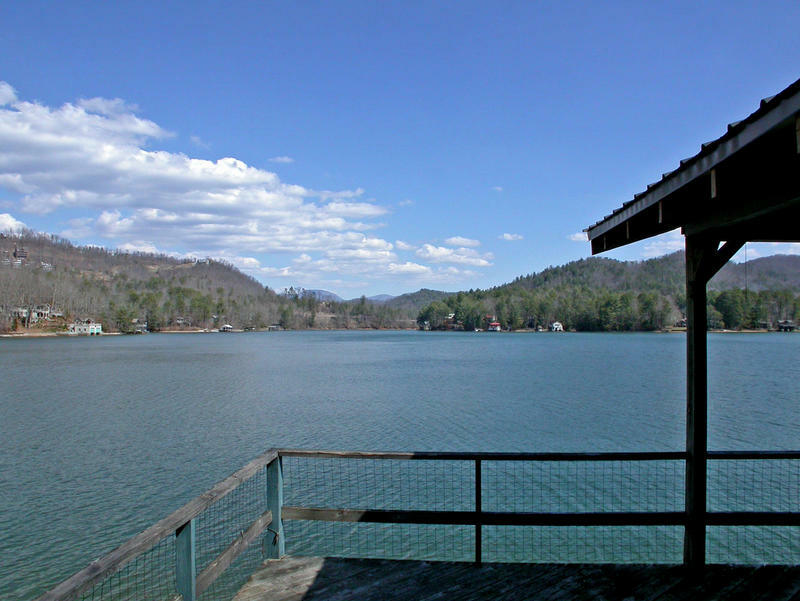 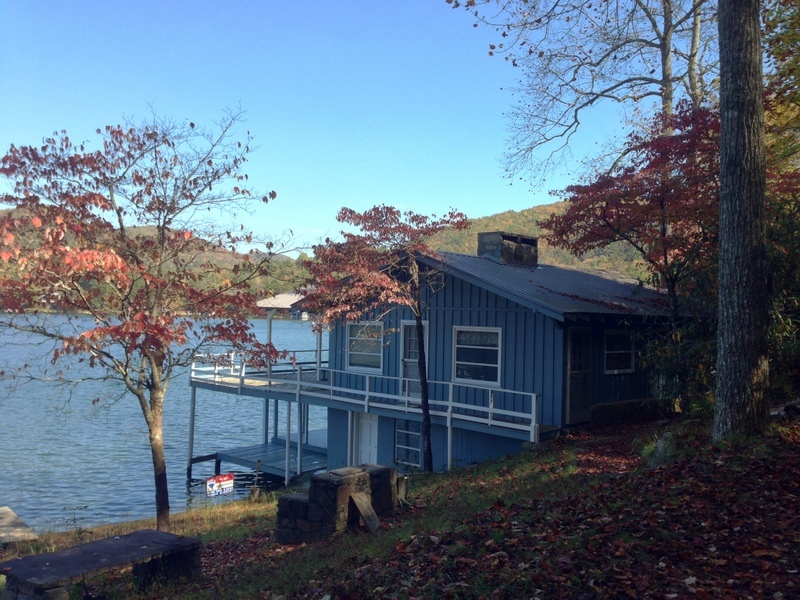 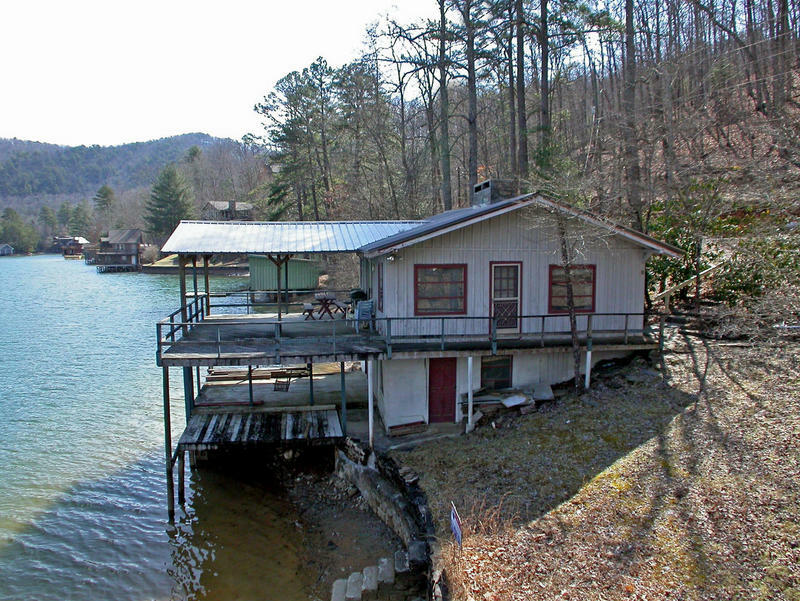 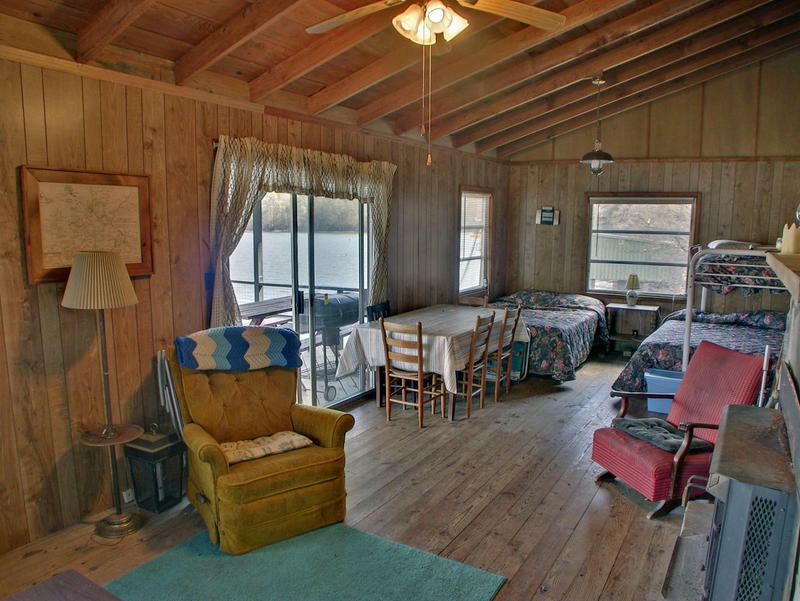 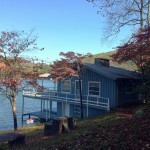 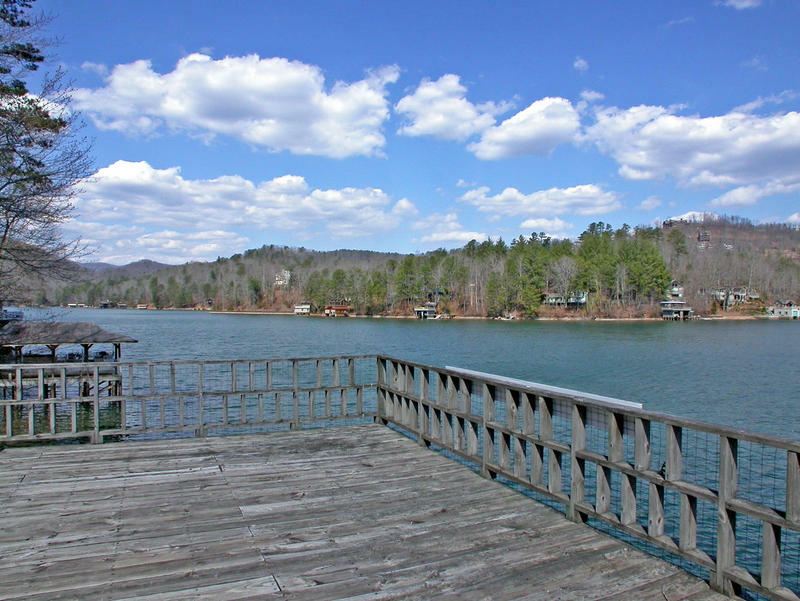 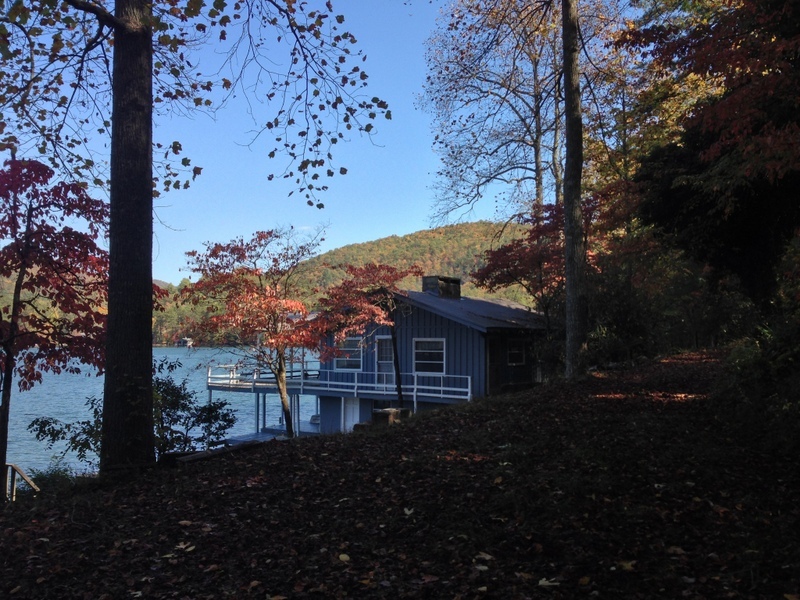 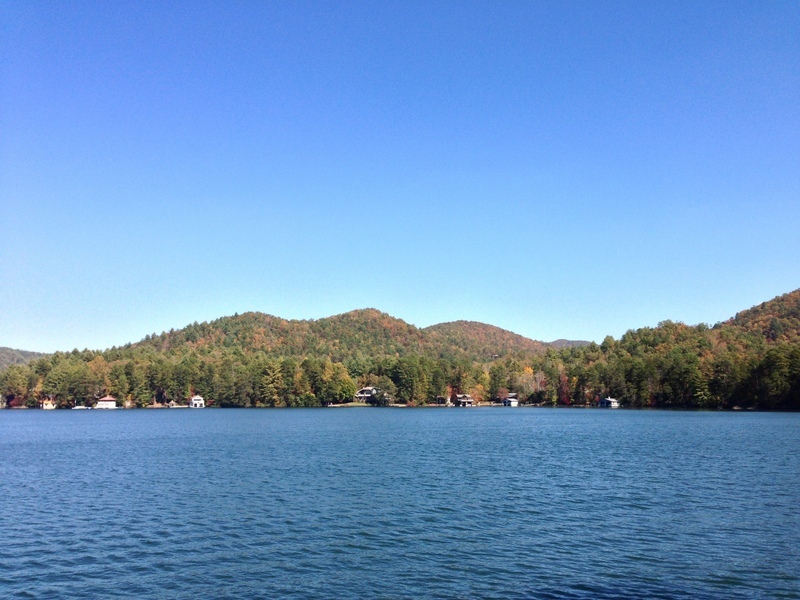 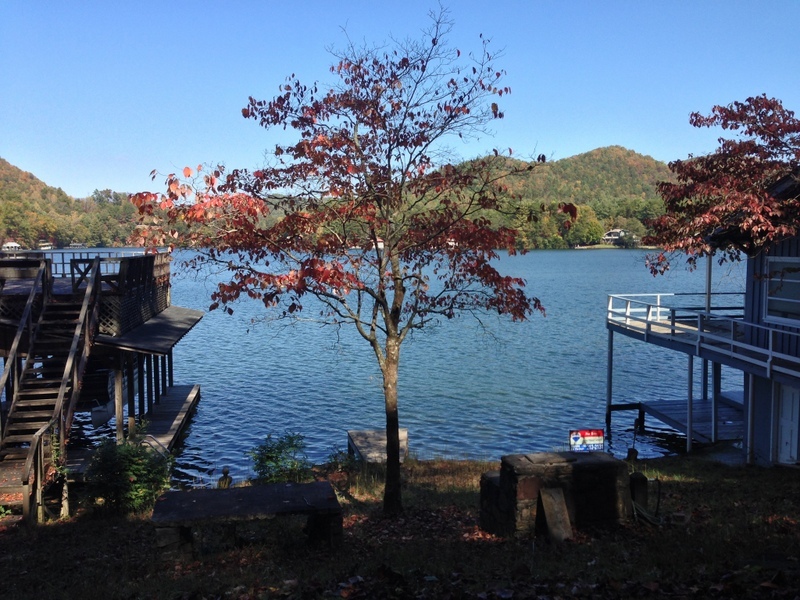 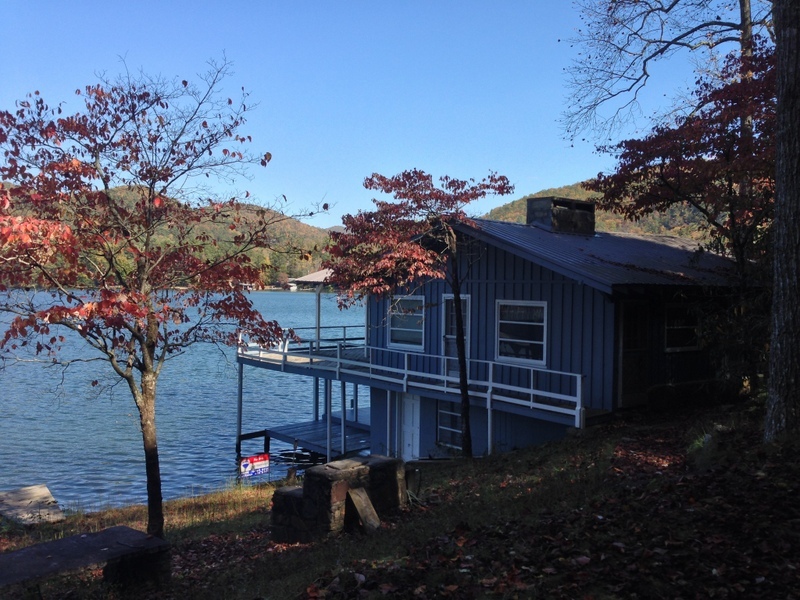 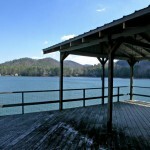 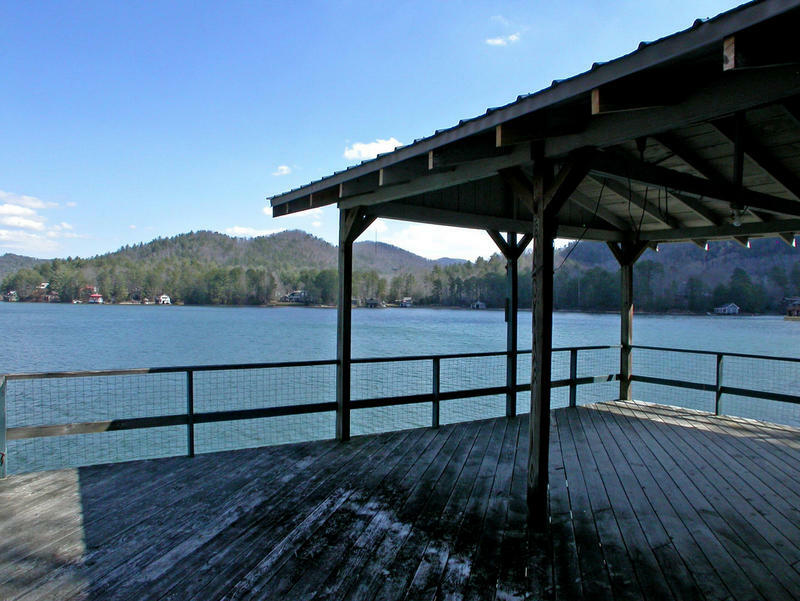 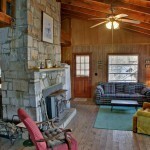 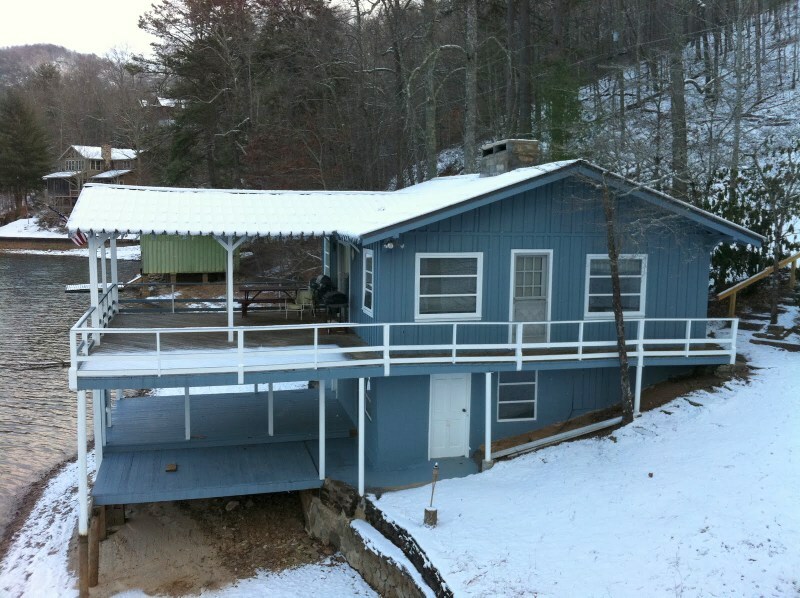 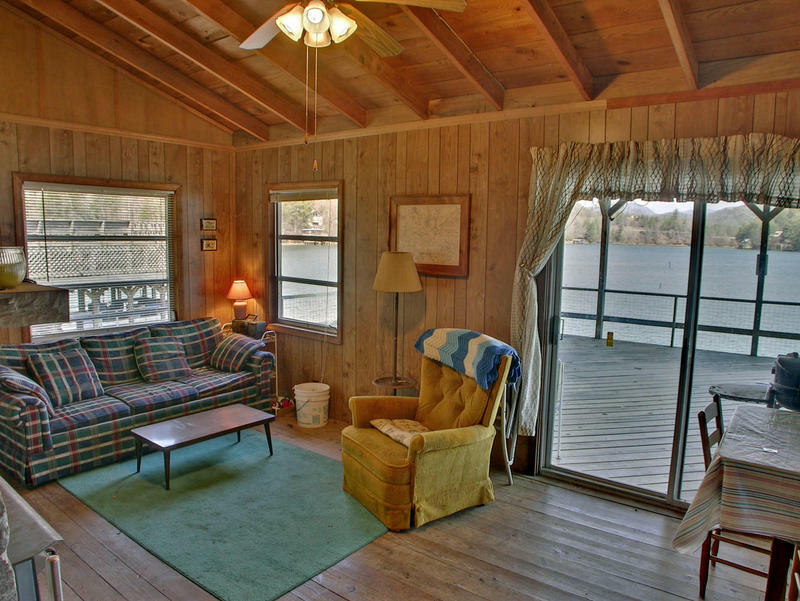 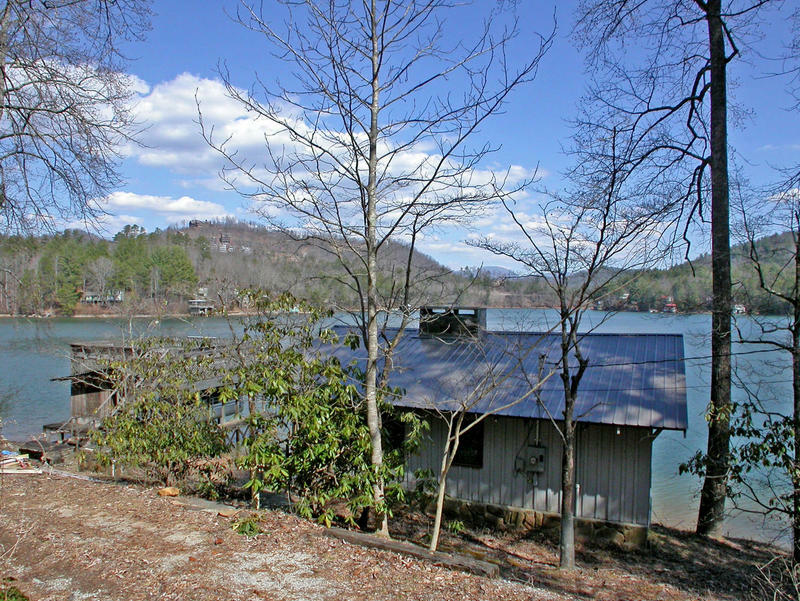 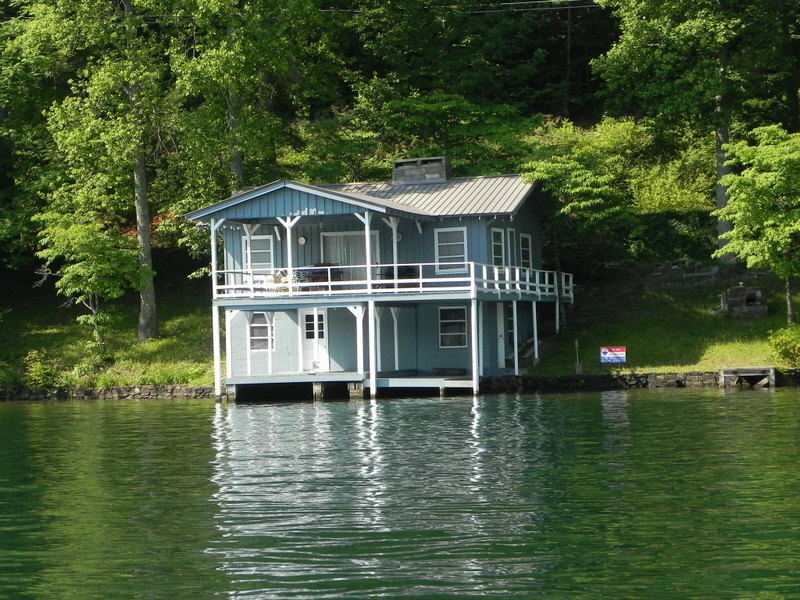 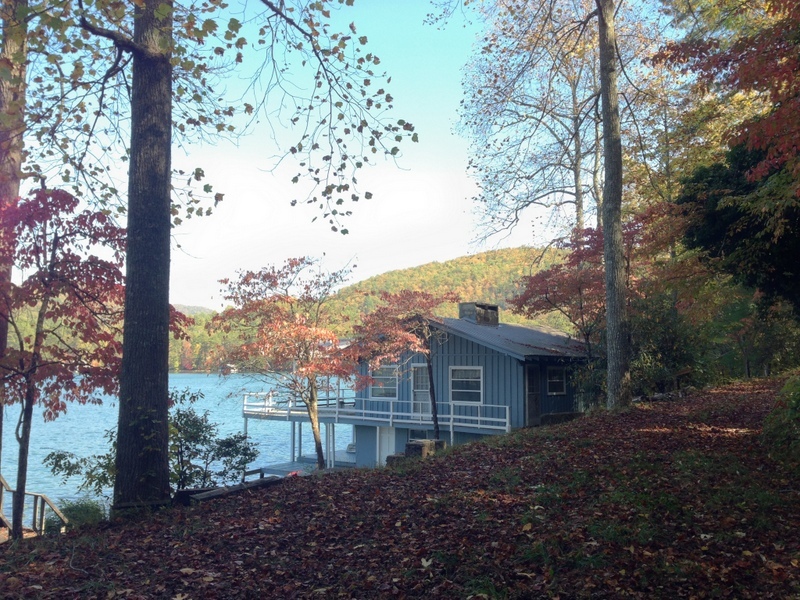 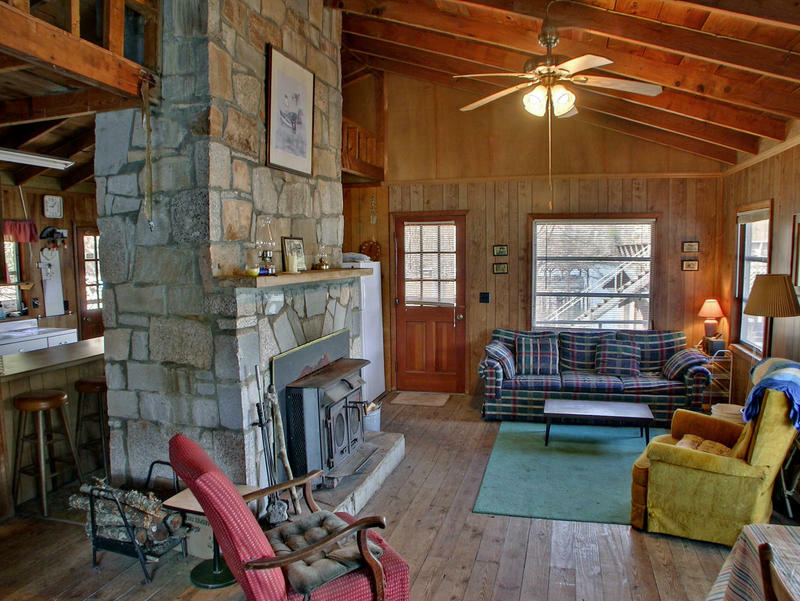 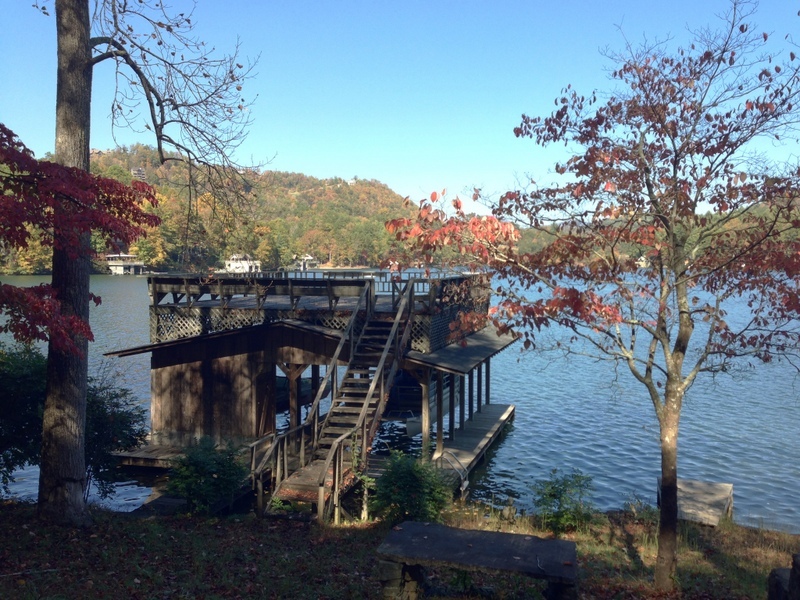 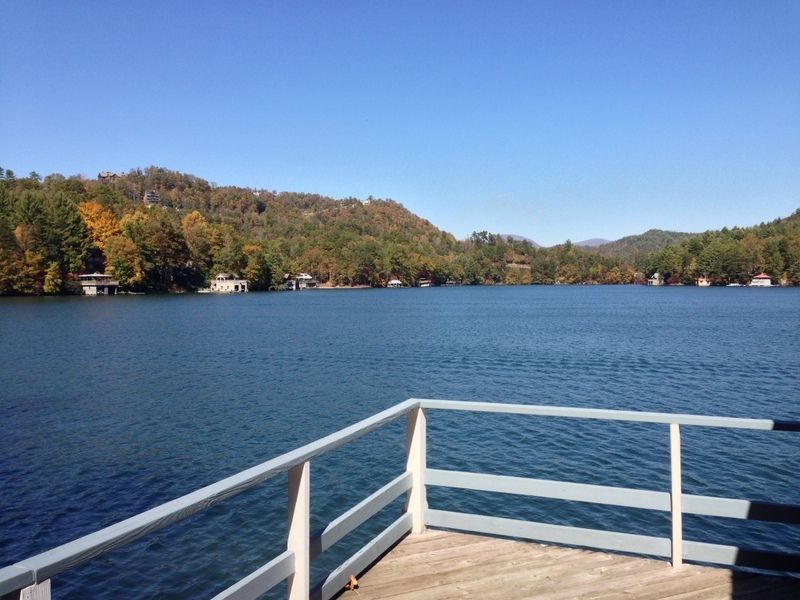 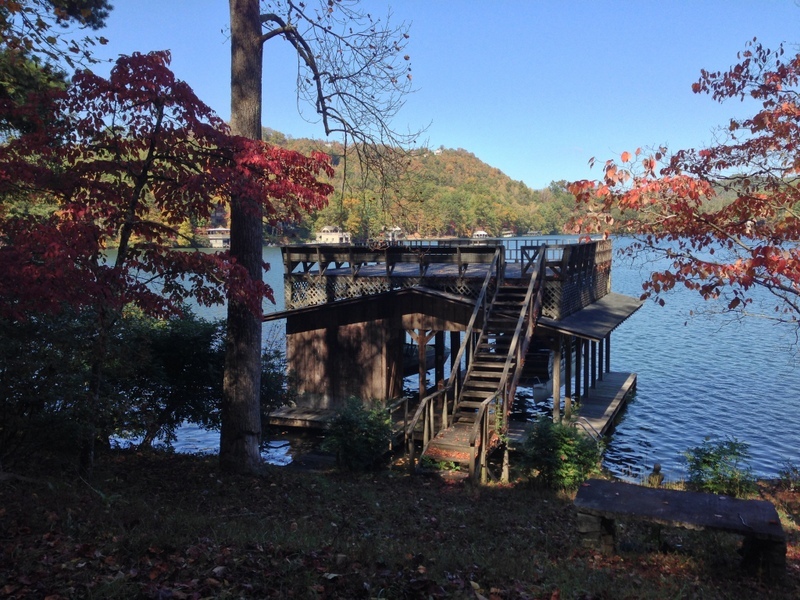 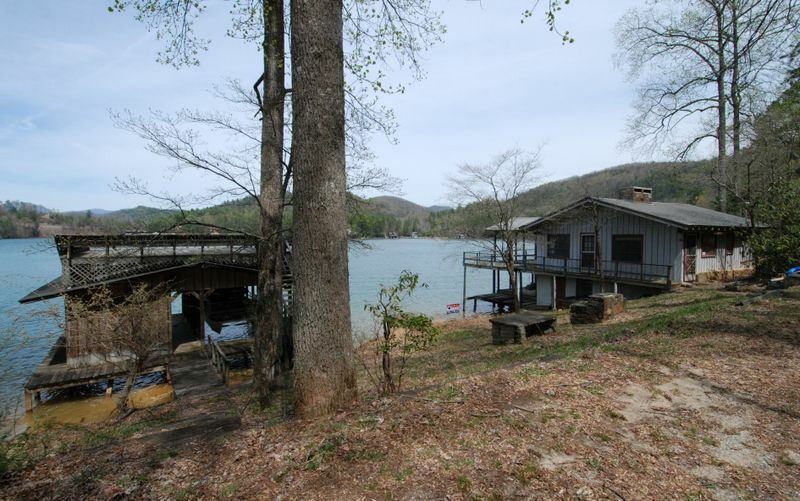 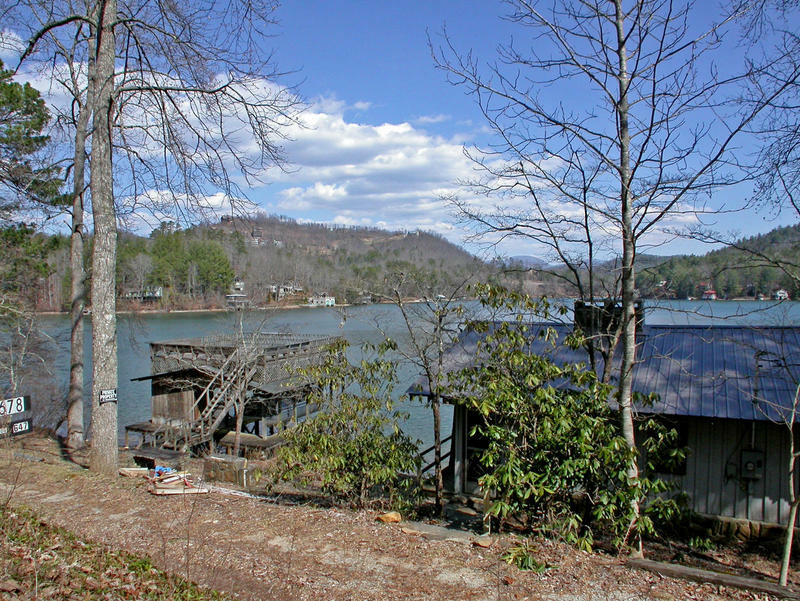 Great covered porches to spread out and take in the long-range mountain and water views. 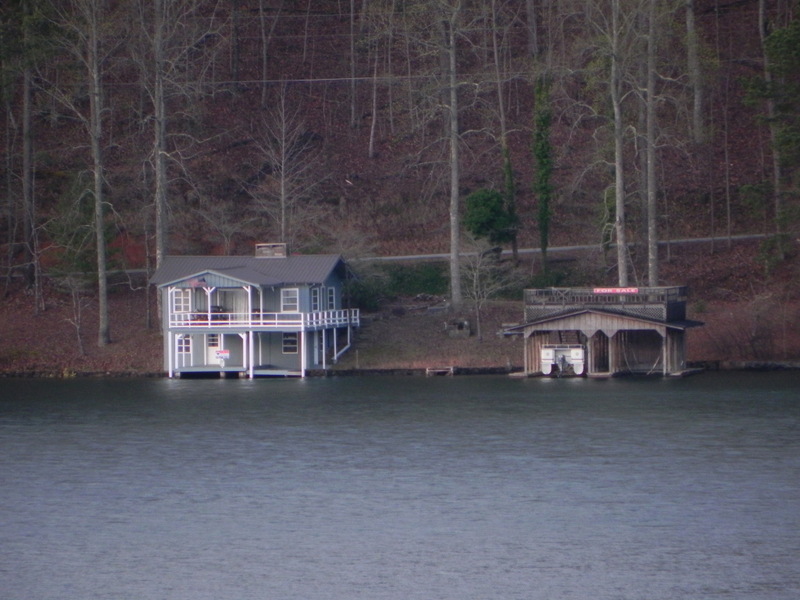 Docks used to be under the house, but decked over when the separate two-stall, two-story boathouse with huge sundeck was built. 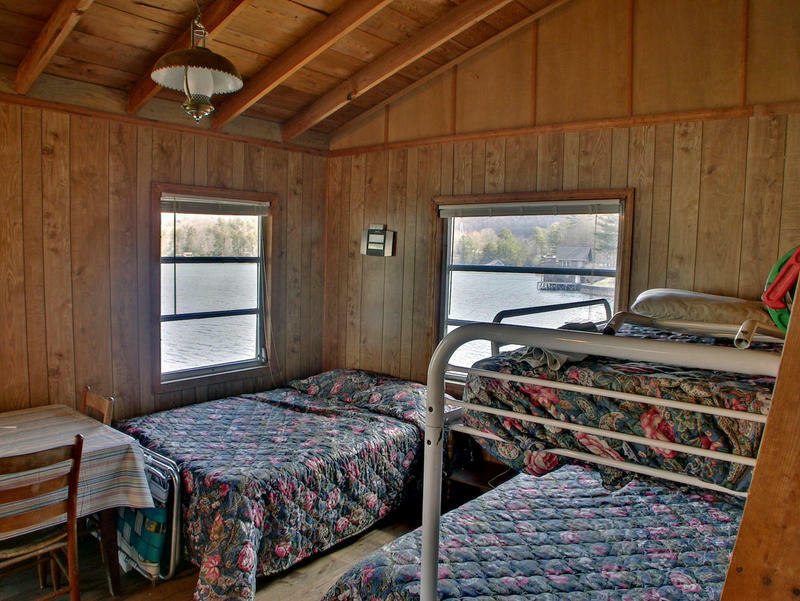 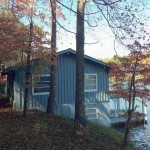 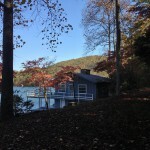 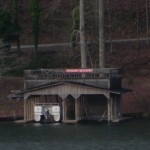 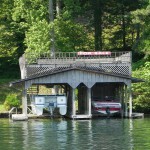 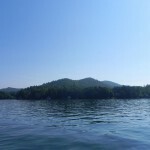 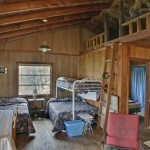 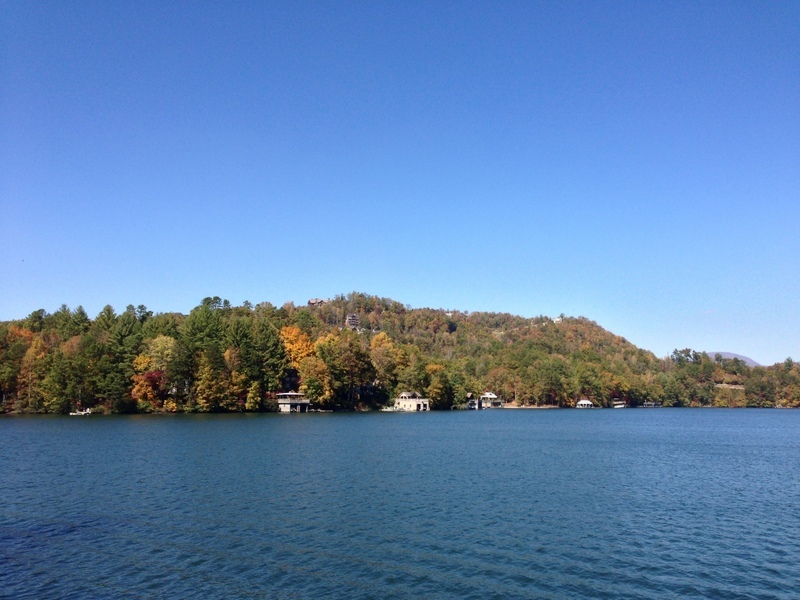 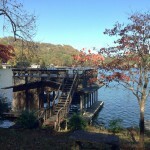 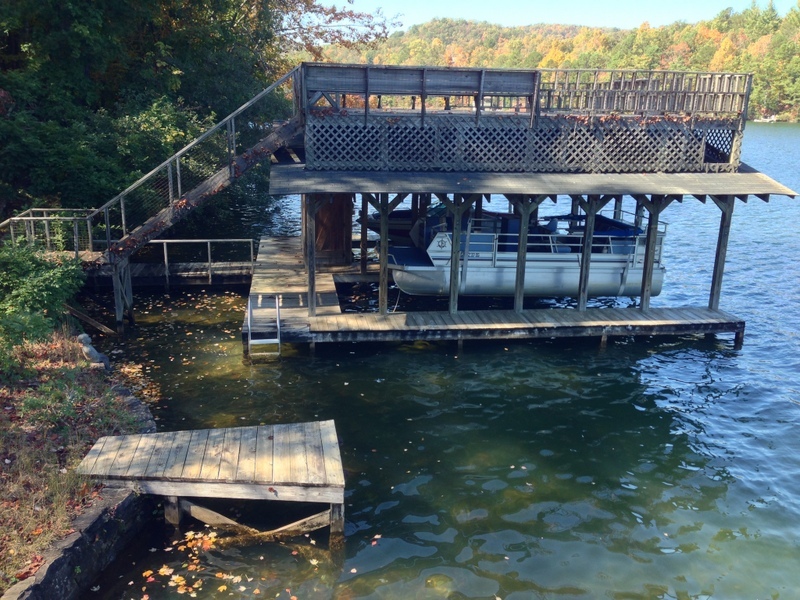 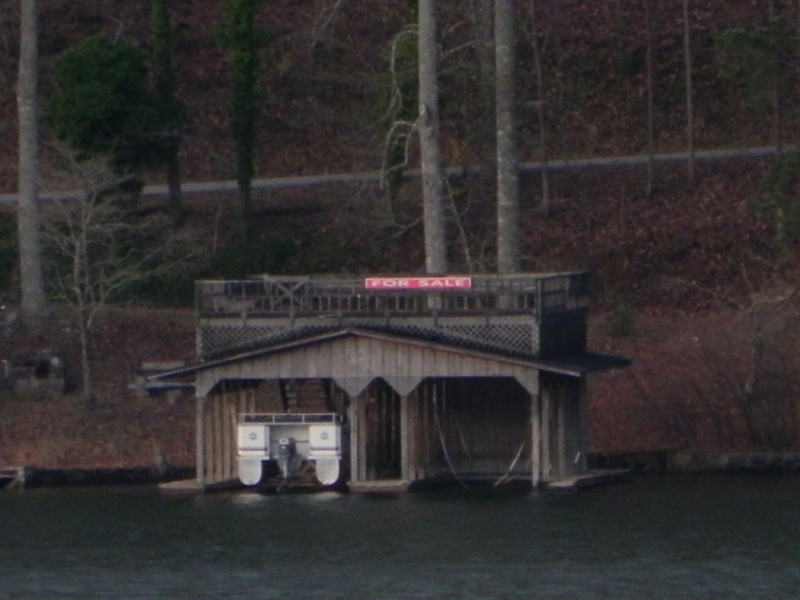 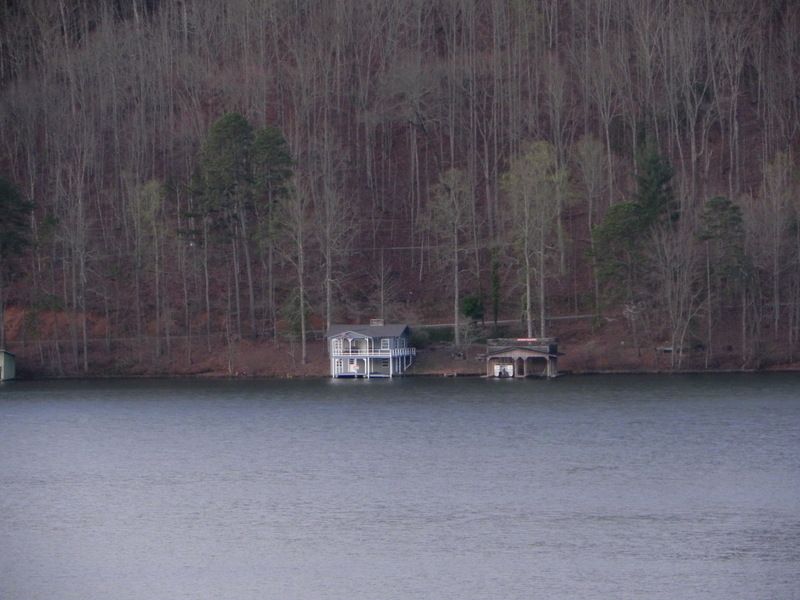 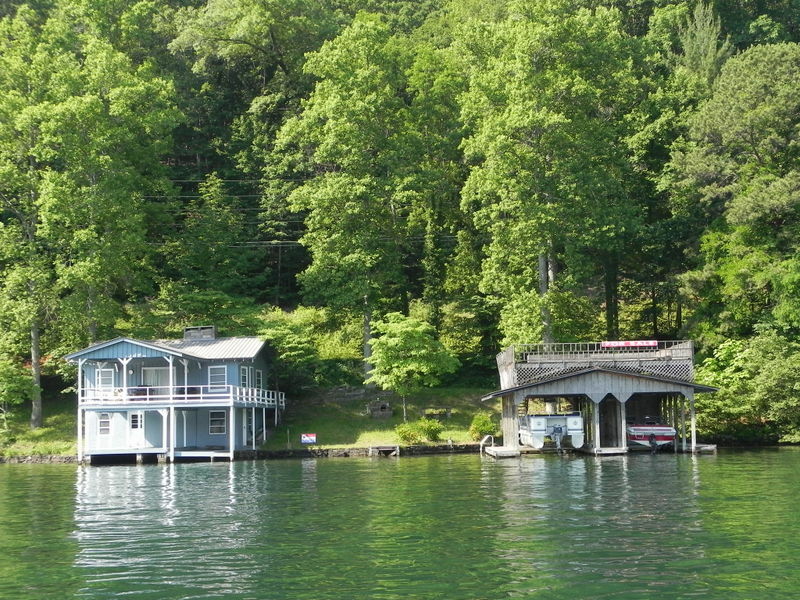 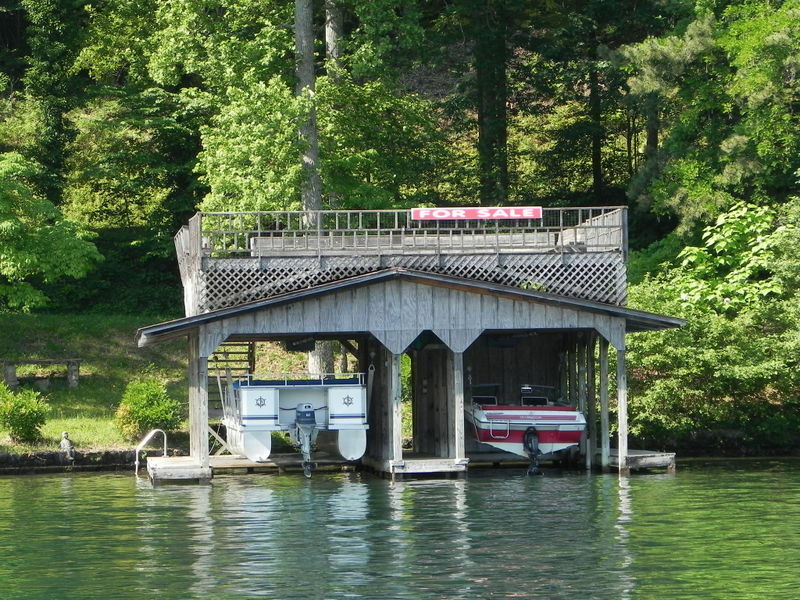 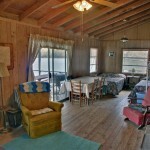 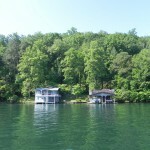 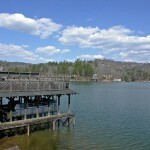 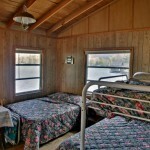 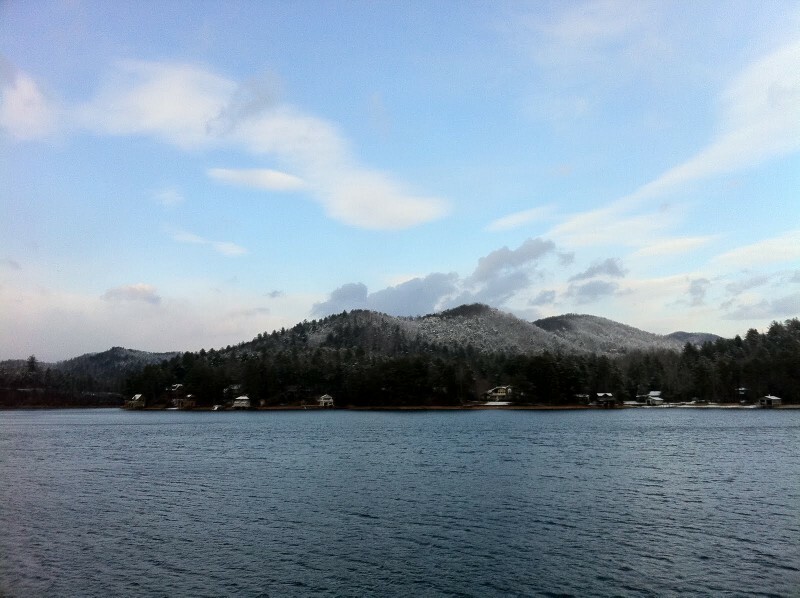 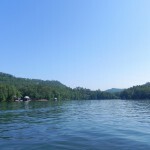 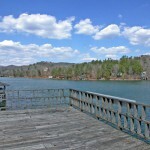 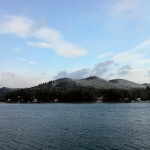 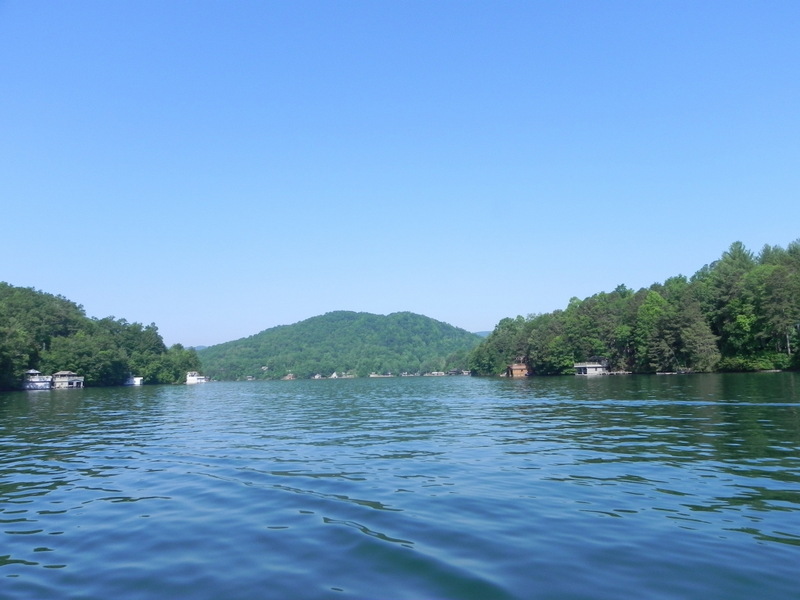 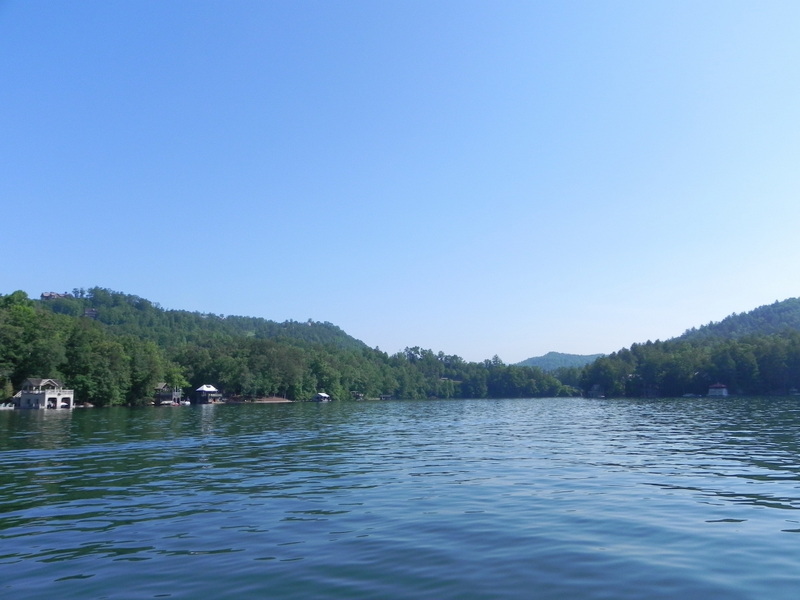 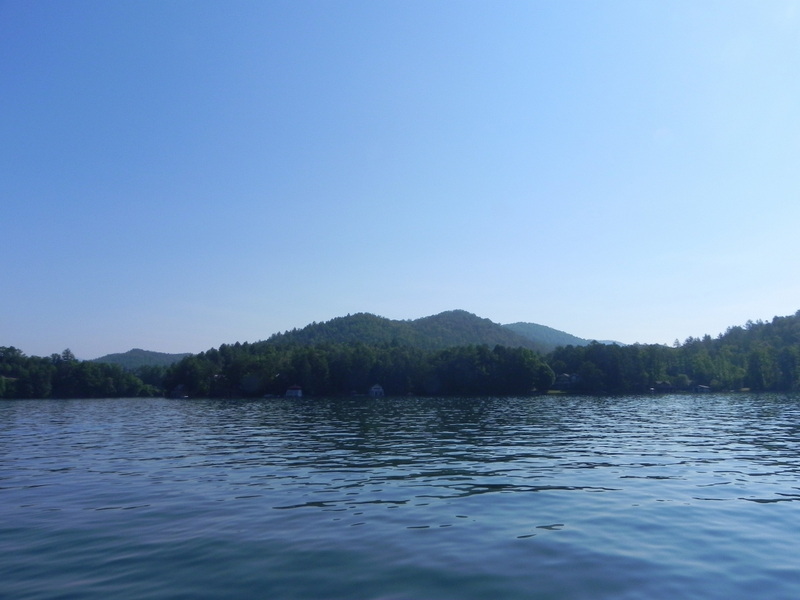 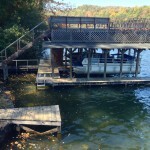 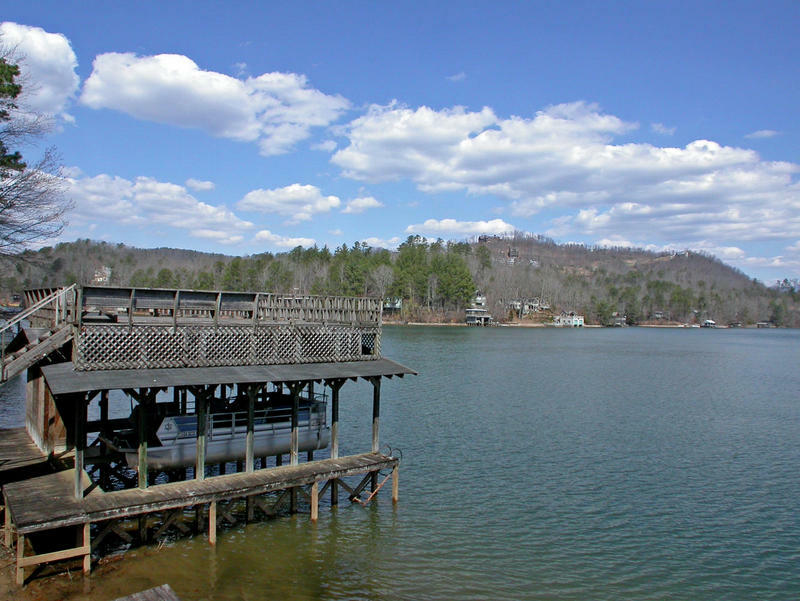 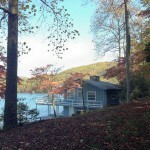 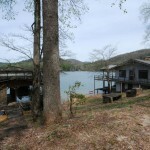 There is an additional dock to fish from or tie another boat between the cabin and boat house. 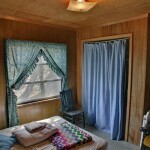 Great opportunity to keep a piece of the past with expansion room and recent approvals for larger home.